Above is a photo of an adult male Wernerius mumai on the left and an adult female on the right. Wernerius mumai is a rarely seen scorpion found in Western Arizona. 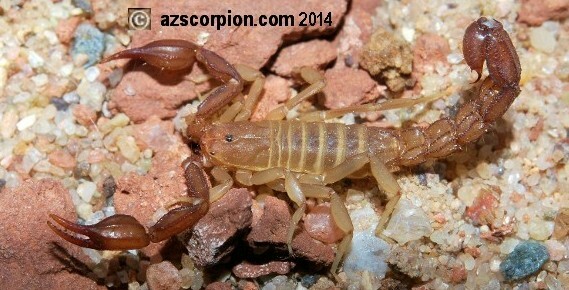 This Arizona Scorpion was formerly known as Vaejovis mumai. I am fortunate to have available pics of this rare species of Arizona Scorpions. Arizona Scorpion World page created 09/04/08. Arizona Scorpion World last updated 01/13/2017.